REBLOG from road.cc and a subject close to my heart …. 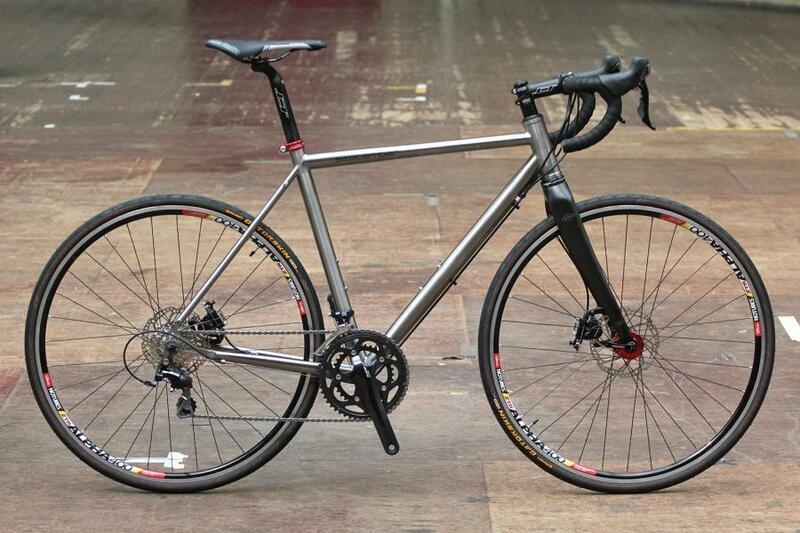 no mention of my Lynskey lovelies and their great lifetime warranty. DeKerf or Moots but you can’t get everything …. 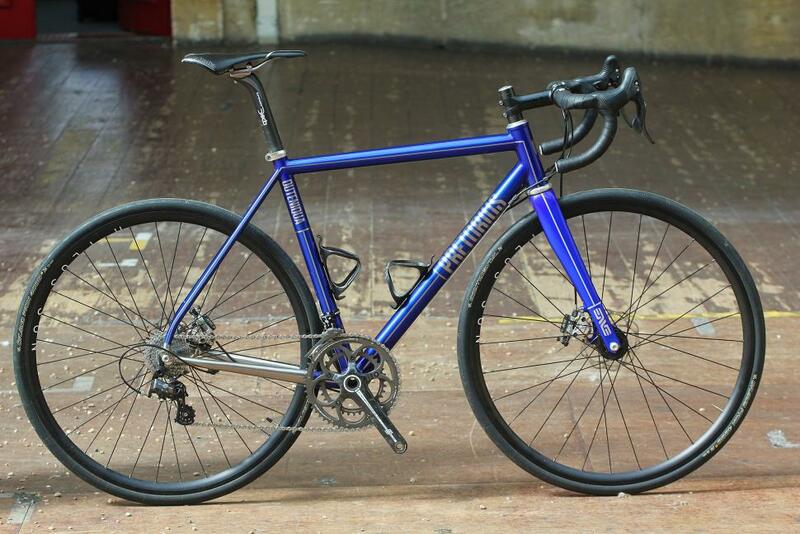 Steel is a really nice material for making a bicycle frame, but for many cyclists, titanium is an even nicer choice. Once a very rare and exotic material and a luxury choice for those rich enough to afford it – titanium is notoriously difficult to work with – the cost of a titanium frame has dropped significantly in recent years, to the point where it could almost be deemed, if not affordable, at least a viable alternative to top-end steel and carbon fibre frames. 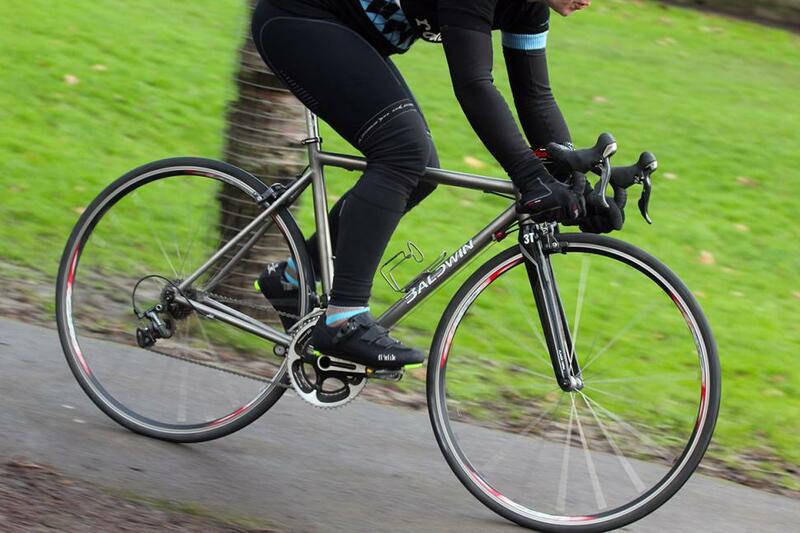 Titanium is desirable because it’s lighter than steel and stronger than steel and aluminium, and its high fatigue strength means a titanium frame should last forever. It’s those traits that have ensured it has continued to be a popular choice with cyclists wanting a fine riding frame that will last the length of time. 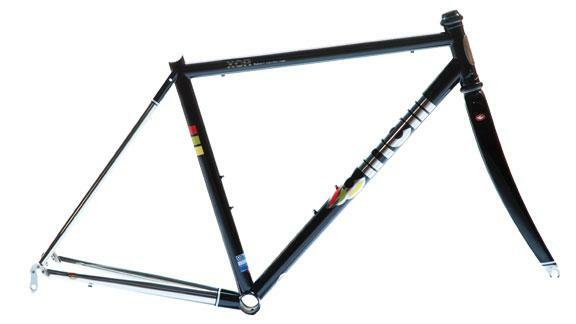 Plus of course there is the fabled ride quality, which is reminiscent of a steel frame with plenty of spring and high comfort, but it can be used to build a stiff race bike depending on tubing diameters and profiles. 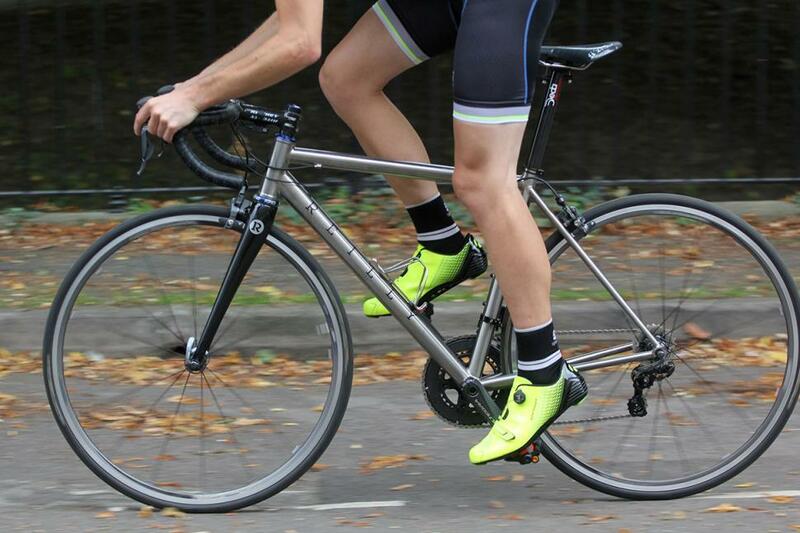 The unique colour of titanium ensures it stands out against most other road bikes. Various finishes are available, the tubes can be brushed or bead-blasted and can even be painted if you prefer, but many people buying titanium do so partly for its unique and timeless appearance. A titanium frame will still look good in 10 years time. 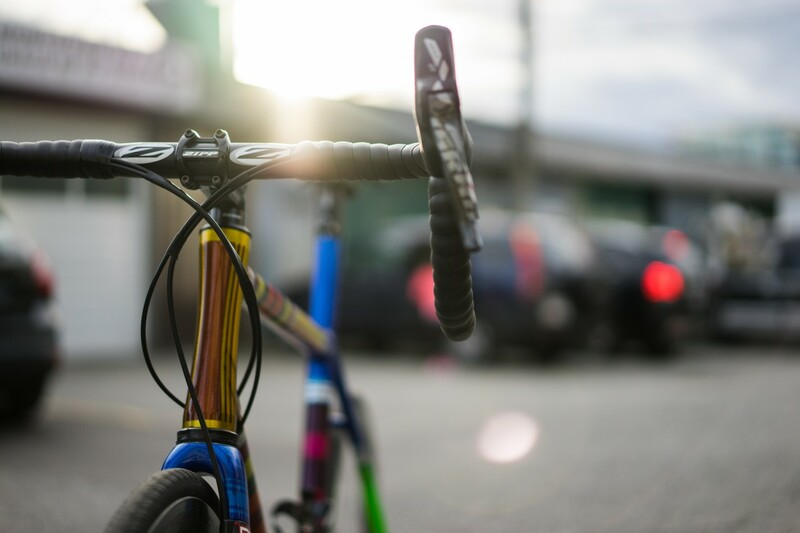 Titanium has been used to make bicycle frames for about 30 years. 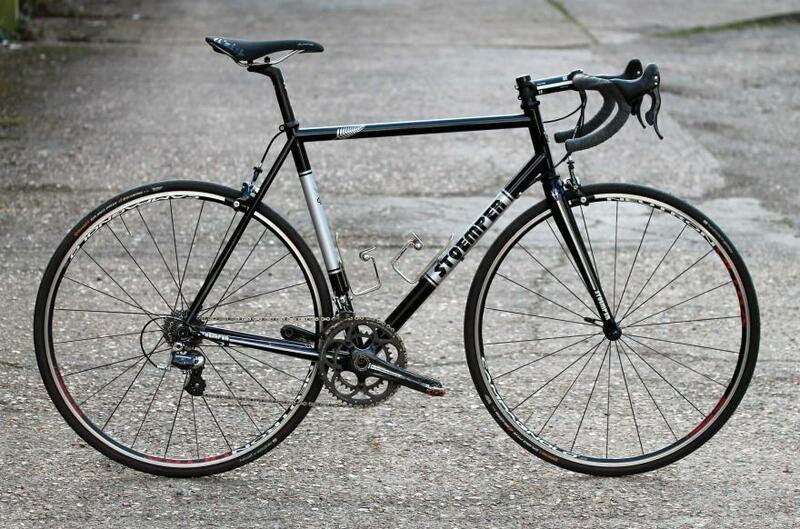 In the early days, there was only a handful of brands specialising in titanium, and US brands like Seven, Serotta, Litespeed and Merlin built an enviable reputation for their expertise with the material. Titanium frames are now commonly manufactured in the Far East which has led to prices coming down quite a lot, into the realms of affordability for many. 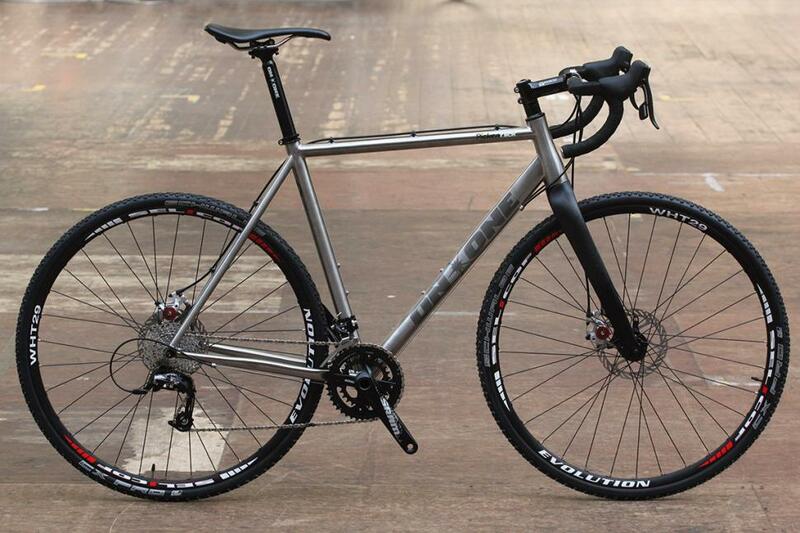 Here are ten titanium road bikes we’ve reviewed in recent years. 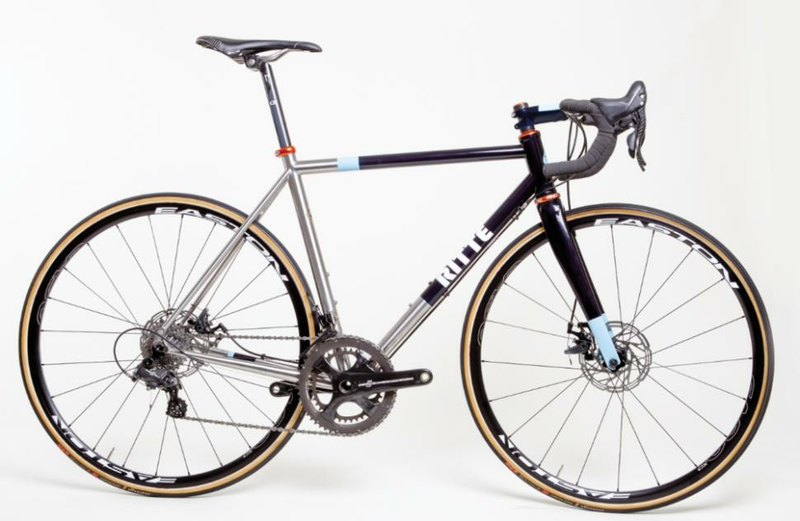 Last year’s road.cc Cyclocross and Adventure Bike of the Year winner, the On-One Pickenflick, is one of the most affordable 3Al / 2.5V titanium frames we’ve ever come across. A frame costs a frankly astonishing £699. The Pickenflick is a cyclocross bike at heart, but On-One sells it as a bike for adventure riding and sportive use. 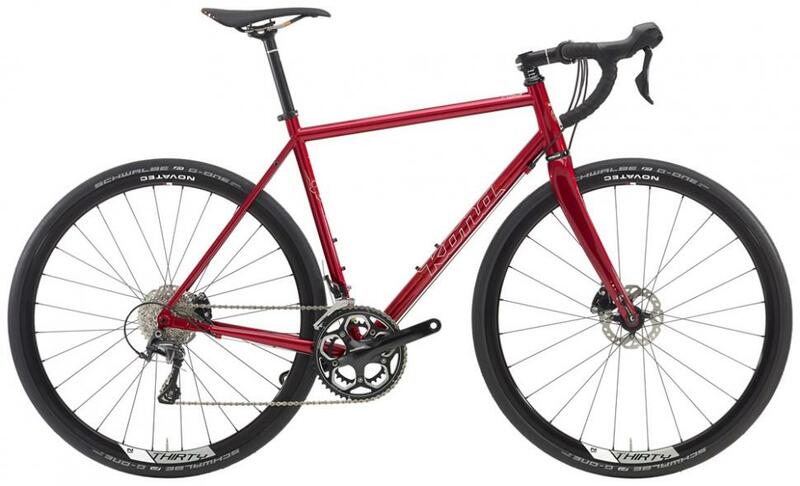 It has the versatility that a lot of UK cyclists look for, with geometry designed for comfort and features including disc brakes, space for wide tyres and eyelets for mudguards and racks. One of the newest bicycle brands to launch this year is the J.Laverack, with the debut J.ACK, a titanium frame with disc brakes and internal cable routing. The J.ACK has been designed to conquer any road or off-road surface, with space for wide tyres (up to 33mm) and plenty of clearance around them for mudguards. All cables are neatly routed inside the frame to keep the lines clean. 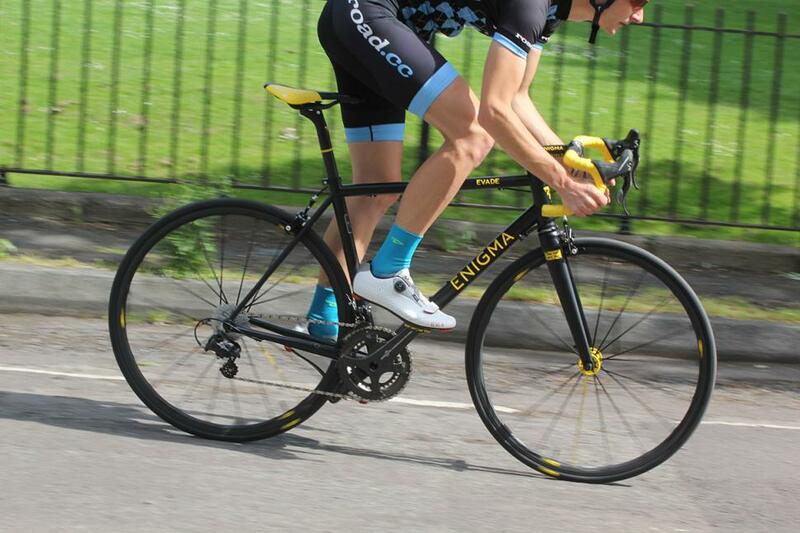 The new brand of Mark Reilly, formerly of Enigma Bicycle Works, the T325 is the most affordable in the range. His 30 years of frame building experience shows in the frame, which is lovingly designed with neat details such as an externally reinforced head tube, oversized main tubes, space for 28mm tyres and internal routing for a Di2 groupset. At a claimed 1,275g, the frame is a worthy alternative to a carbon fibre race bike. 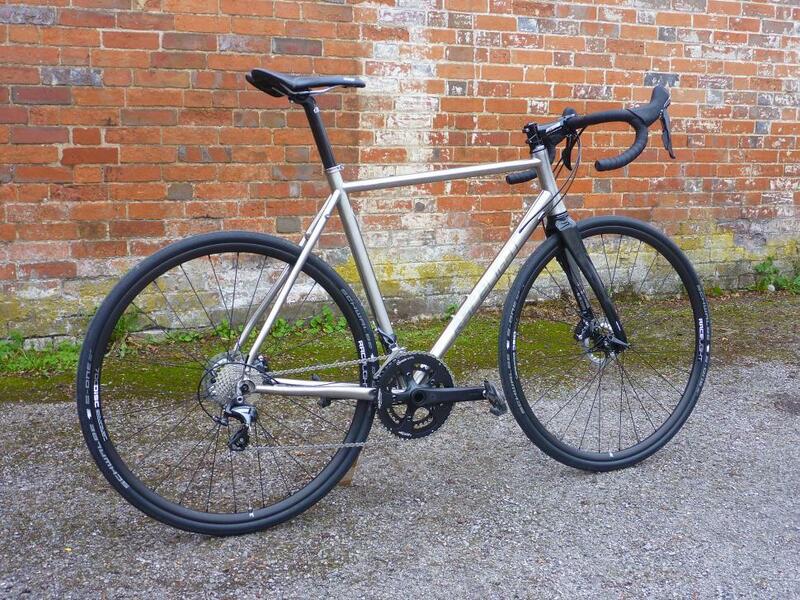 The Kinesis Gran Fondo is now available with disc brakes, a popular upgrade to a popular bike. We gave the original a glowing review back in 2013, and with disc brakes proving popular on endurance bikes, the update has been a success. With wider tyres getting ever more popular, the new bike will accommodate 32mm tyres without mudguards, or 30mm with mudguards. The cold drawn seamless titanium tubeset has internal cable routing and it’s modular for mechanical and electronic groupsets. Van Nicholas is a Dutch company that specialises in titanium, and the Chinook is a thoroughly traditional titanium race bike. While modern titanium road bikes are all about oversized tube diameters and fat head tubes, the Chinook is all skinny tubes and slender stays. But it still offers a buttery smooth ride with delicate handling and really wins you over. A very refined ride. 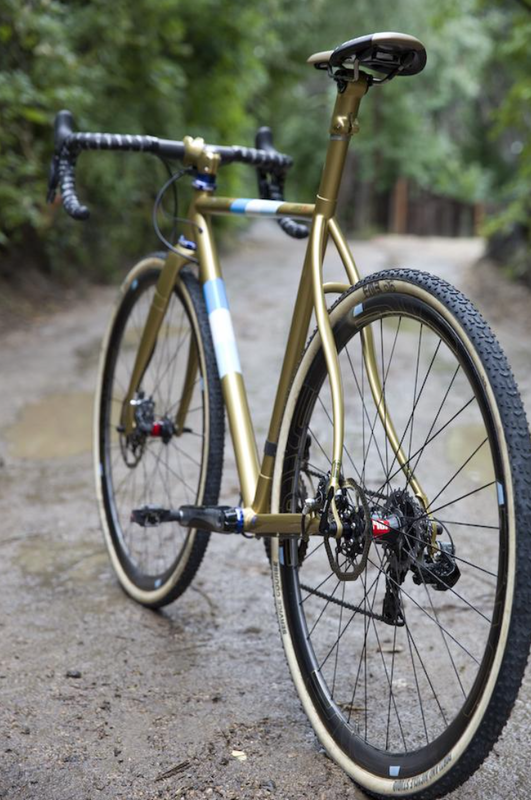 US titanium frame builder Mosaic Bespoke Bicycles hail from Boulder in Colorado, founded by Aaron Barcheck who used to work for Dean Titanium Bicycles. That expertise shows in the RT-1, a finale built titanium frame with custom butted size-specific 3Al/2.5V titanium tubes with a full bespoke option available. The ride performance is, as you’d hope, excellent, with a pleasingly taut characteristic that likes to go fast, all of the time. 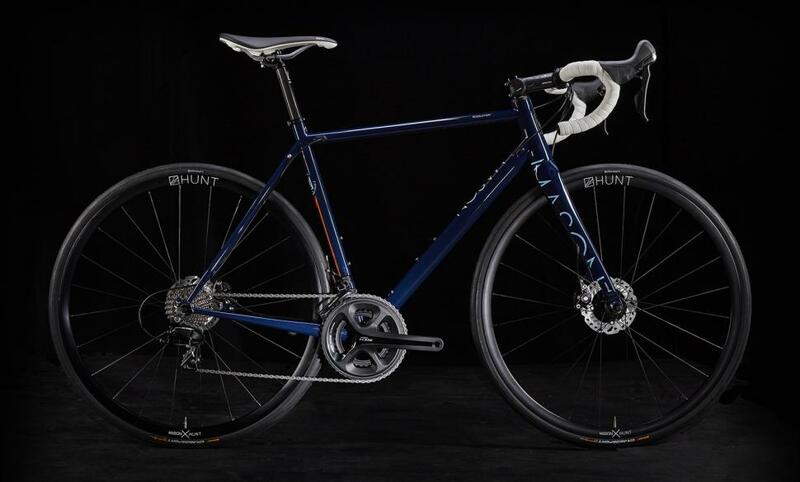 The Sabbath September Disc is an audax bike that’s right at home on the daily commute, club ride or sportive, with disc brakes and the titanium frame joined up front by a carbon fibre fork. 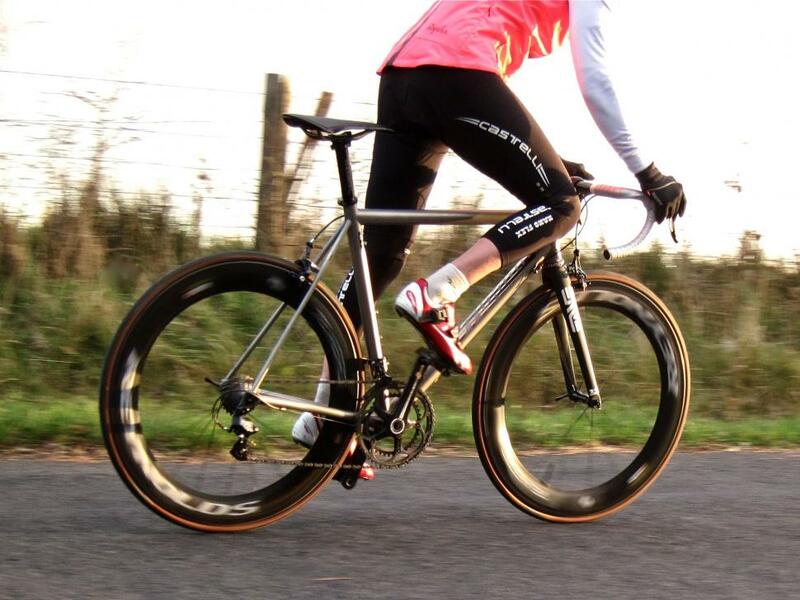 The September Disc was one of the first breed of new versatile titanium road bikes designed with disc brakes, and the 3Al/2.5V takes up to 35mm tyres with mudguards. If you want one bike to do just about everything, with the exception of racing, the Sabbath is a fine choice. Disc brakes have been popping up on titanium road bikes with increasing frequency, and London-based Pretorius builds the Outeniqua Disc frameset from predominantly oversized tubing to provide the stiffness for what is to all intents and purposes a race bike, with the stopping power of disc brakes. The geometry keeps the handling fast and nimble, yet the bike can be equipped with mudguards, though tyre width is restricted to 23mm with them fitted. Without mudguards, the frame takes 25mm tyres. 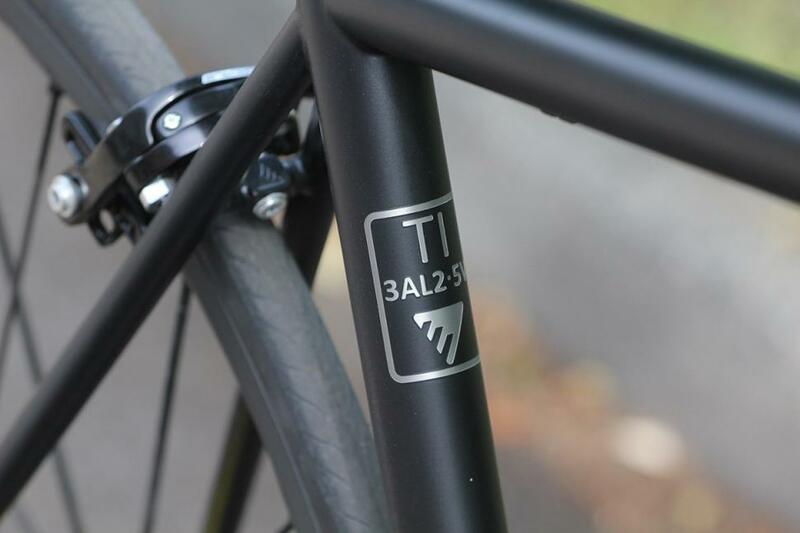 East Yorkshire-based Baldwin Titanium arrived in 2012 with the aim to provide custom built titanium frames for those cyclists that just don’t want an off-the-shelf bike. Baldwin will measure you up and produce a frame to meet your exact riding requirements, whether that’s racing, touring or cyclocross, or anything in between. 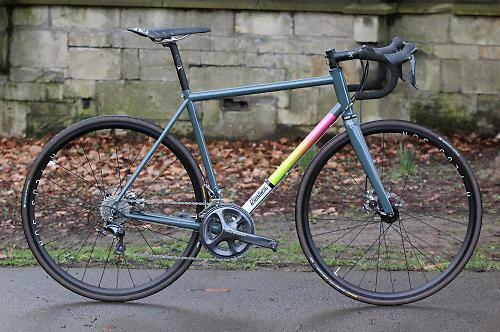 You pay handsomely for such custom service though, with a custom frame coming in at £2,950, and a double butted version costing £3,150, but there are few titanium frame builders based in the UK if that’s the route you want to go down. 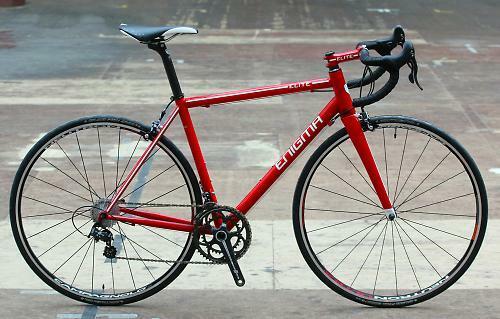 The latest bike from Enigma is the beautiful Evade, which combines oversized main tubes with a 44mm head tube to offer a high level of stiffness. That ensures it offers a rewarding ride for those cyclists that like to press hard on the pedals. It’s rare to see a painted titanium frame but Enigma has done a wonderful job here, marrying the decals to the finishing components and wheels. 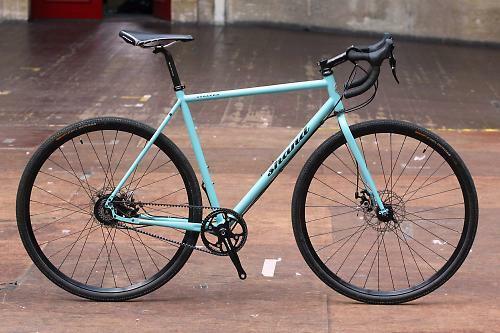 Hailing from Portland, that hotbed of cycling culture and frame building, are Speedvagen. 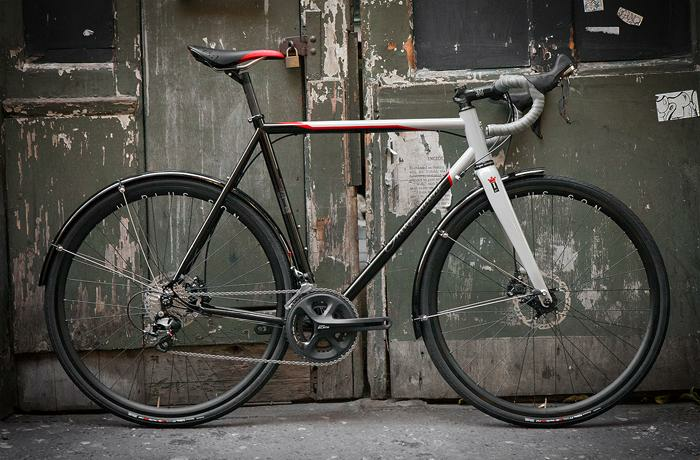 For 2015 they have introduced new disc-equipped road and cyclocross models, available in stock and custom builds. 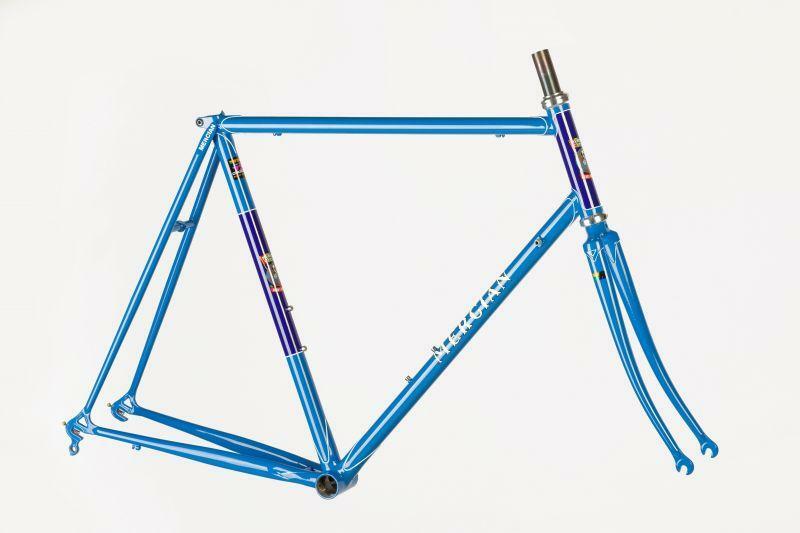 Speedvagen have been producing frames since 2007, which are billed as “purpose-built race machines with the highest level of innovation.” The frames are manufactured in the Vanilla Workshop, a collaborative community with framebuilder Sacha White at the heart. He’s been building frames since 1999, and produces frames under both the Vanilla Bicycles and Speedvagen Bicycles banners. He built the first Speedvagen in 2006, a singlespeed cyclocross bike. 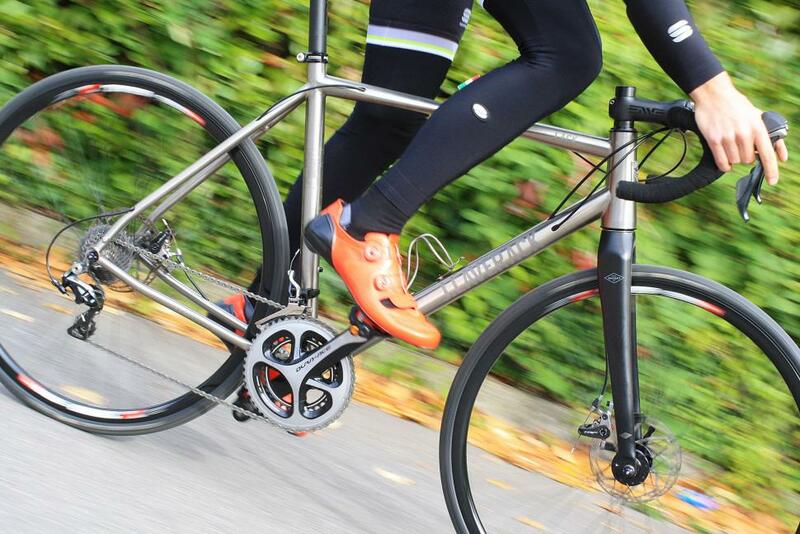 For 2015 the latest Speedvagen models are thoroughly modern: they’re now available with disc brakes. To accommodate the disc brakes, there are new Berzerker dropouts which mount the disc caliper on the underside of the seatstay. Speedvagen claims this approach dissipates braking stress into the tube and away from the dropout. 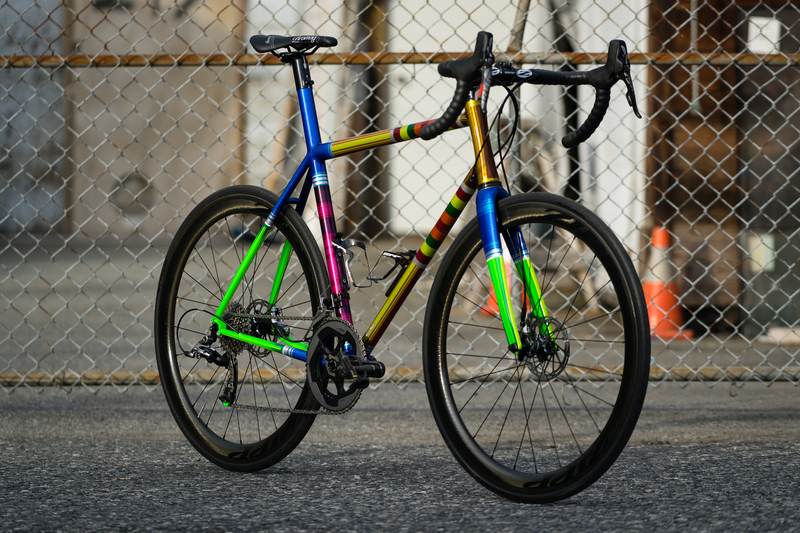 Both the 2015 Speedvagen Road Bike and 2015 Speedvagen Cross Bike can be made from True Temper or Columbus steel tubing with every tube being custom drawn to their specific size, shape and thickness. Nice details abound such as the use of a bi-axially ovalised down tube and tapered head tube, to boost the frame stiffness. Both frames also feature the distinctive integrated seatmast with an Enve carbon fibre post head. An Enve carbon seat tube upgrade is available if you want to shed some weight. Each frame is produced by hand directly for the customer, with a choice of stock or custom frames depending if you want the full tailor made treatment. Stock bikes are available in 2cm size increments from 48 to 62cm. Full custom will consider every measurement so the frame perfectly fits you. There are a number of paint jobs to choose from, and for this year they have added a new ‘3D Ghost’ graphic along with ‘HollaText’ and ‘Surprise Me!’ colour schemes. 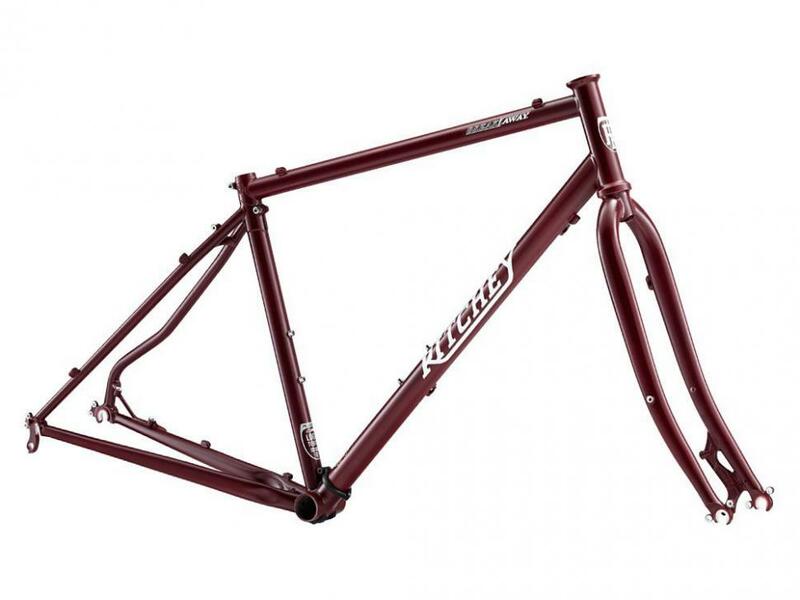 You’re looking at $3,450 for a stock frameset (frame, fork and seatpost) and $4,350 for a custom frame. 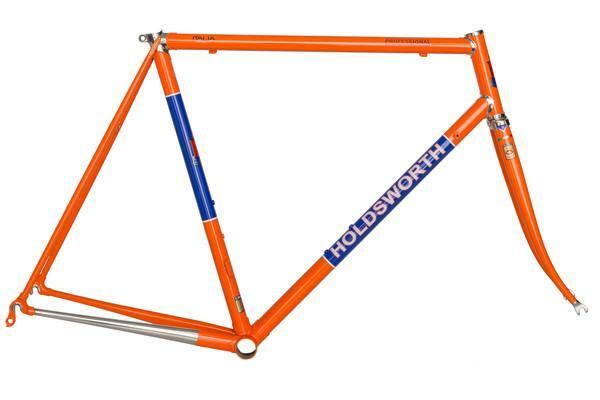 Waiting times are around 12 weeks for a custom frame, shorter for an off-the-shelf stock frame. There are no UK dealers so you have to buy direct. There are a few upgrades available on the frame, including custom Shimano Di2 battery integration and specific internal wire routing, carbon fibre seat tubes and much more. 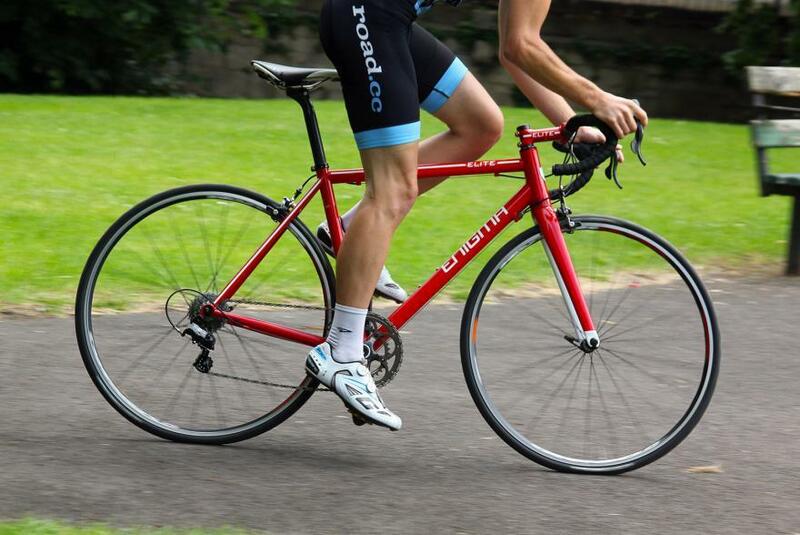 Eddy Merckx Cycles relaunches steel-bike production. 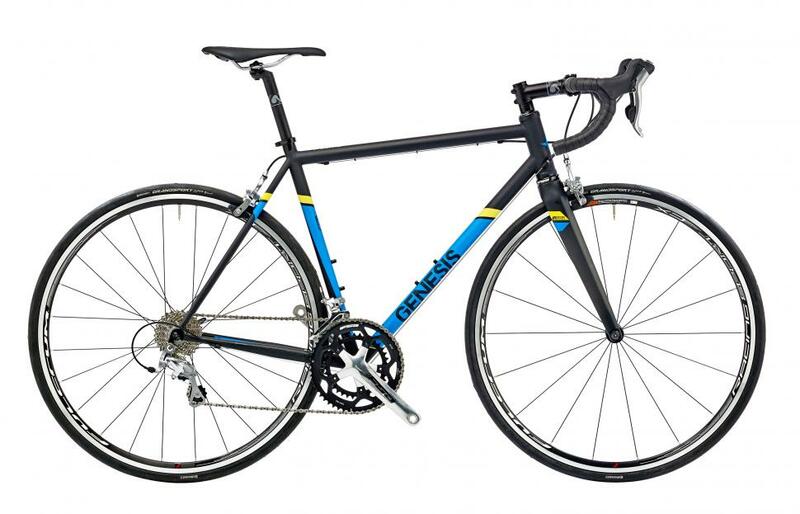 With the launch of the EDDY70 racing bike Eddy Merckx Cycles is opening a new chapter. That is, one of modern, high-quality steel racing bikes. With the Heritage Line Eddy Merckx Cycles is drawing on the past, but only in terms of the design and color, as the new steel bikes cannot be compared with the race machines from Eddy’s glory years. They are ultramodern, state-of-the-art racing bikes improved with the best Columbus steel alloys and designed for superior performance. The EDDY70 bike is built completely according to the wishes of Eddy Merckx, and on Jan. 27 the first example, which bears the No. 1, will be handed over to Eddy himself, who turns 70 this year. From Jan. 28 at 7 p.m. precisely, enthusiasts worldwide can order their own example via EDDY70.com, where they can choose their personal number (between 2 and 70), as well as the place where Merckx can put his own signature on the steel. In the months following the order they can follow the whole production process via the Eddy Merckx Cycles Facebook page until they are finally invited to come and collect their personal bike in Faema colours at their local Eddy Merckx Cycles Dealer. At the same time they will receive a unique photo book that has been signed by Merckx. Nice detail: the first bikes will be delivered on June 17th, which is Eddy’s birthday. 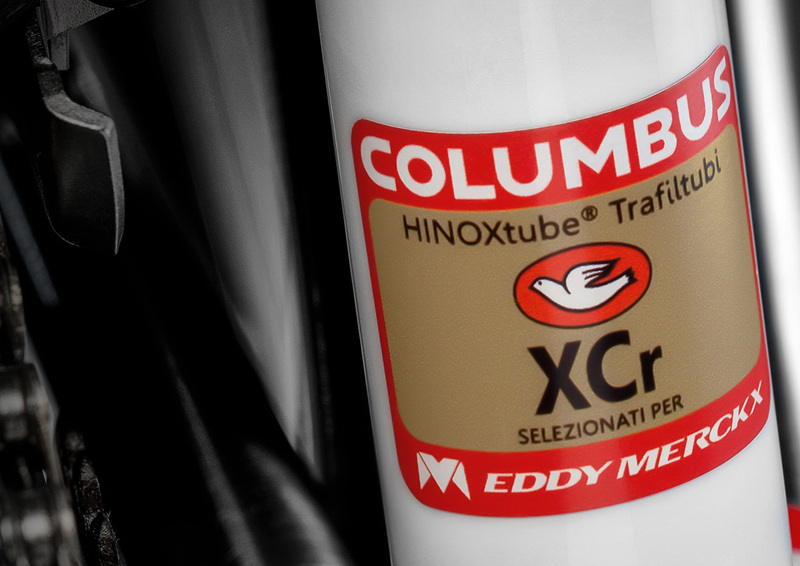 For the steel frame of the EDDY70 the newest Columbus XCr seamless steel tubes are used. 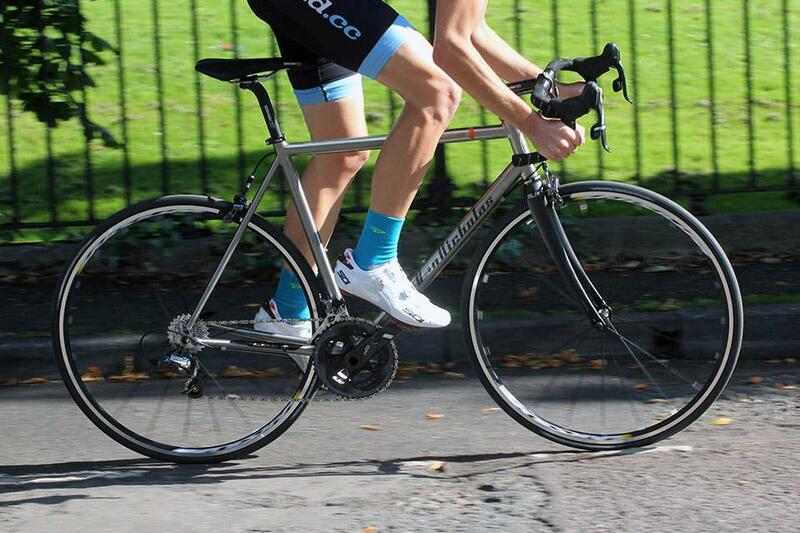 The ultralight and rigid RFS (stainless steel) lends itself perfectly to the production of racing bikes. The steel is TIG welded in the Eddy Merckx Cycles workshops and fitted with a carbon fibre Columbus front fork, after which the frame is painted. 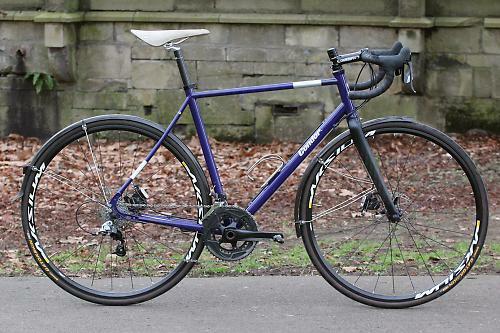 The bike is then fitted with a Campagnolo Super Record set and Campagnolo Bora Ultra 35 wheels; both with the unique EDDY70 signature. The same icon is also printed on the cockpit, seat post and Cinelli seat. “Everyone knows that I was always obsessively focused on the equipment that I rode on. That is still the case now. And as a result, I wanted only the best and most modern components and materials for this bike. The aim was absolutely to make a high performance, contemporary racing bike and not a replica of my old racing bike,” according to Merckx. Every release by Eddy Merckx Cycles is a tribute to the rich heritage created by the greatest racing cyclist of all time. That is why Eddy Merckx Cycles wants to produce the best racing bikes and sell them to the widest possible cycling public. The rich history of man and bicycle is thereby linked in a contemporary and self-perpetuating way to the promising future of the brand. The company was created by Eddy Merckx in 1980 and is still based in Belgium. 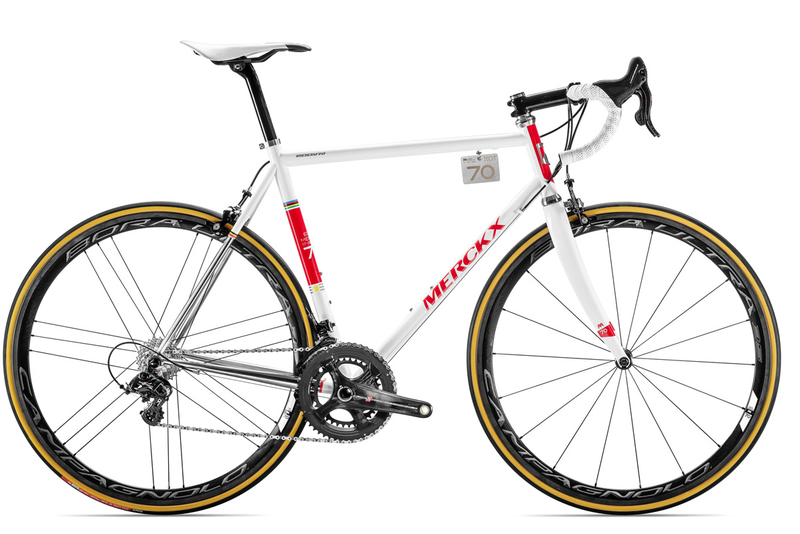 Eddy Merckx Cycles sells high-end racing bikes in more than 25 countries via 20 distribution partners. At the Benelux level the brand is sold by around 110 official Eddy Merckx Cycles dealers.